Note – Our blog post today was written by Aunt Geri. Let’s give her a warm welcome to the internet! Warm greetings from frigid Wyoming – 24 degrees below a couple of days ago. I feel fortunate to have only 2 foster horses to care for while the Cliffhouse Alpaca team immersively tends the hairy “herd”. Being a driven person, knitting and spinning for Cliffhouse provides some balance to my needs for calm, creativity, and production. I am easily bored, so I often randomly mess with colors, textures, etc.. Production always wins me over and I implement some crazy ideas almost immediately. 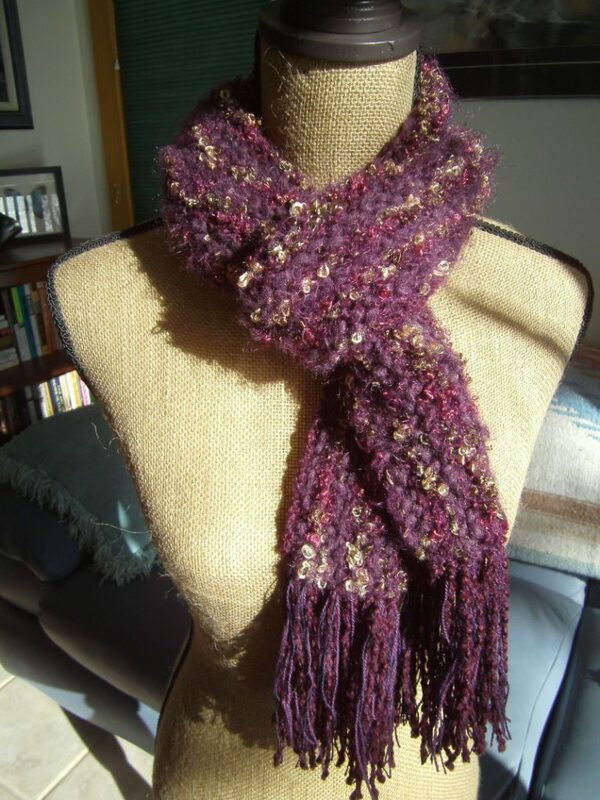 Excitement peaked in December over a new scarf idea – use several different yarns for special effects. The wonders of alpaca mixed with contrasting fibers for a visual and textural feast! 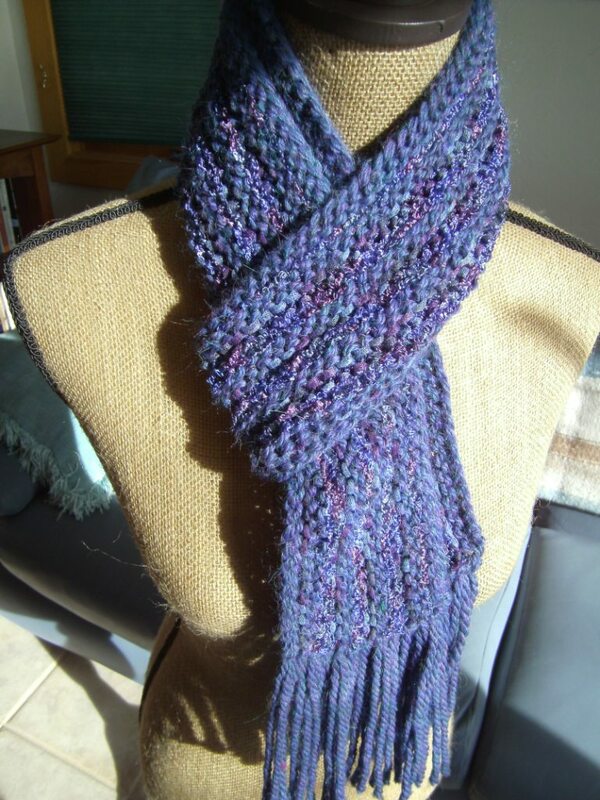 We call these new creations “Magic Scarves” due to the beautiful fabric formed from 3 utterly different yarns. The base alpaca yarn provides a soft halo and warmth, while various “accent” fibers bring different drape, luster, and shimmering color and texture variations. These scarves are knit vertically, which creates a wonderfully dense and balanced drape. Gorgeously complex – MAGICAL! 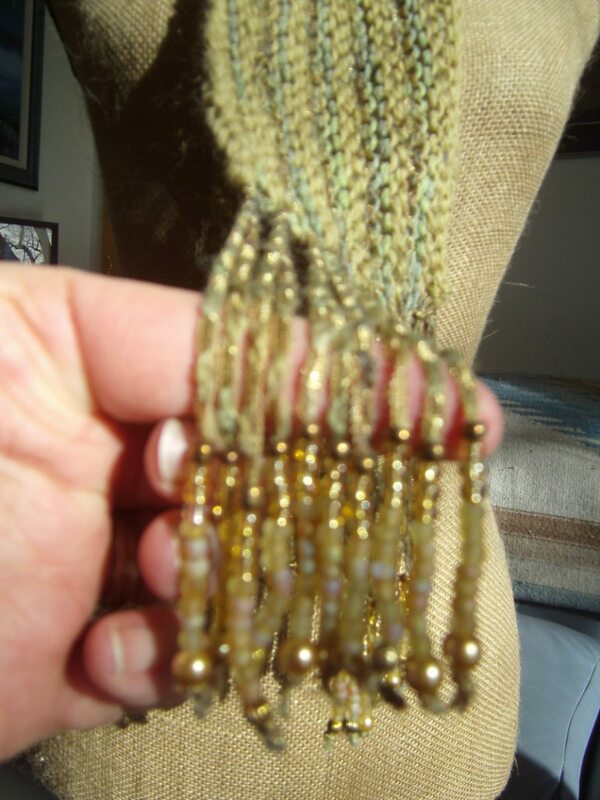 beads and pearls – all for the Incan gods of fleece. I will keep letting you know about some of my “crazy” idea projects – as my brain downloads them and allows my hands to turn them into reality. 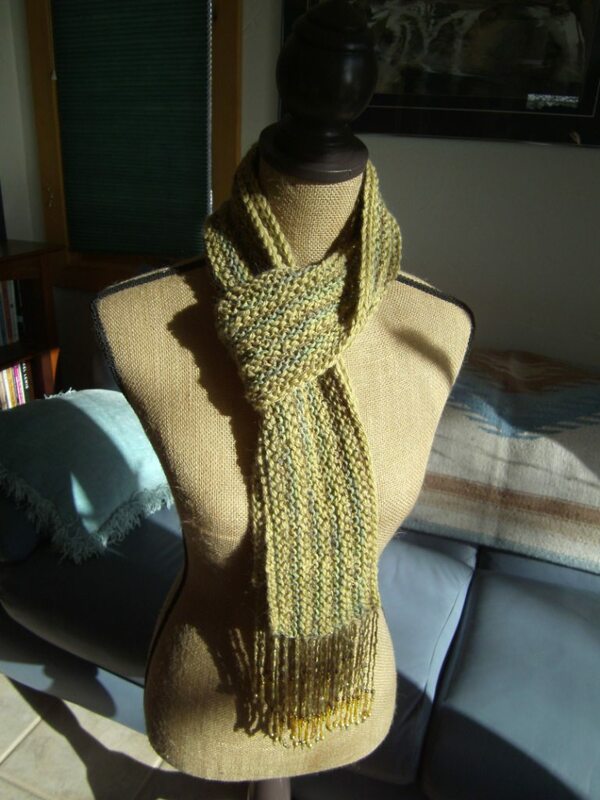 This entry was posted in fiber art and tagged alpaca yarn, boucle yarn, knit scarves, kntting, scarves. Bookmark the permalink.